Advantech, a leading automation technology provider, is pleased to announce UNO-3283G/3285G – a high-performance fanless control cabinet PC. Equipped with a 6th Gen Intel® Core™ i7 processor, Intel® QM170 PCH chipset, rich I/O including 6 USB 3.0, 2 GigaLAN, 2 RS-232/422/485, and 1 RS-422/485 (pin header) ports, as well as DVI-I and HDMI display interfaces, UNO-3283G/3285G is designed to deliver high-performance computing and maximum flexibility for industrial automation applications. The provision of two hot-swappable HDD/SSD bays and up to 5 expansion slots (1 PCIe x16, 1 PCI, and 1 iDoor slots or 2 PCIe x8, 2 PCI, and 1 iDoor slots) supports the integration of modular peripherals and ensures flexible installation in diverse cabinet configurations. In addition to an exchangeable RTC battery that can be accessed via the removable top cover for convenient maintenance, the system features dual power inputs that ensure a stable power supply. 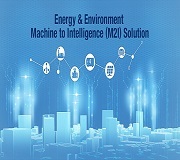 UNO-3283G/3285G also supports Advantech’s iDoor technology for adding flexible functionality according to specific application requirements. 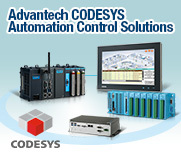 By integrating various iDoor modules, such as an industrial Fieldbus communication, power over Ethernet, COM, or digital I/O module, system integrators can extend or customize the system features to provide purpose-built, future-proof solutions for diverse machine automation, hospitality, machine vision, and motion control applications. The UNO-3283G/3285G’s otimized design includes a removable top cover with captive thumb screws, which provide secure attachment, controlled access, and facilitate easy installation by minimizing the number of components. Meanwhile, the removable top cover enables rapid access to the system components, ensuring convenient installation and maintenance of PCI/PCIe and CFast expansion cards, iDoor modules, and the RTC battery. Despite its robust design, UNO-3283G/3285G features 4 PCI/PCIe expansion slots and 2 front-facing HDD bays brackets, making this small form factor cabinet PC ideal for environments with limited space. 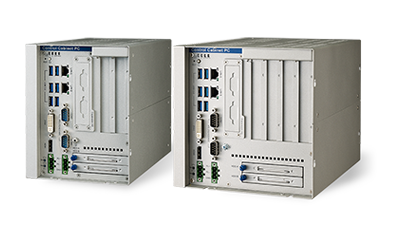 Additionally, because this latest generation of Advantech’s UNO series retains much of the I/O offered with previous models, existing UNO systems can be easily and seamless upgraded to UNO-3283G/3285G. The front-accessible, hot-swappable HDD/SSD bays with captive screws can be installed and maintained on-site without the use of additional tools. 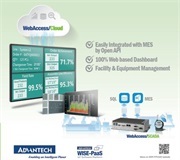 The ability to conduct on-site maintenance and upgrades reduces operational disruption and system downtime and allows customers to save on logistics costs. Furthermore, UNO-3283G/3285G’s hot-swappable HDD/SSD bays support RAID 0/1 configurations, which not only enhance the system performance for high-speed read/write operations, but also ensure data integrity and prevent data losses. 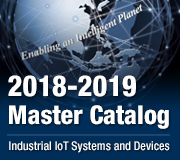 Powered by a 6th Gen Intel® Core™ i7 processor equipped with an Intel® QM170 PCH chipset as well as 6 USB 3.0 and 2 GigaLAN ports, UNO-3283G/3285G delivers the high-performance computing power to handle heavy loading, machine vision, motion controllers, and complex end devices. UNO-3283G/3285G provides a reliable and cost-efficient scalable system for diverse control and sensing applications. UNO-3283G/ 3285G are available for order now. 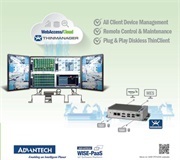 For more information about this or other Advantech products and services, contact your local sales support team or visit our website at www.advantech.com.